Summer is on it’s way and so is our June 15th show! We had a great turnout for our Memorial weekend show in May. There were some interesting and rare finds. 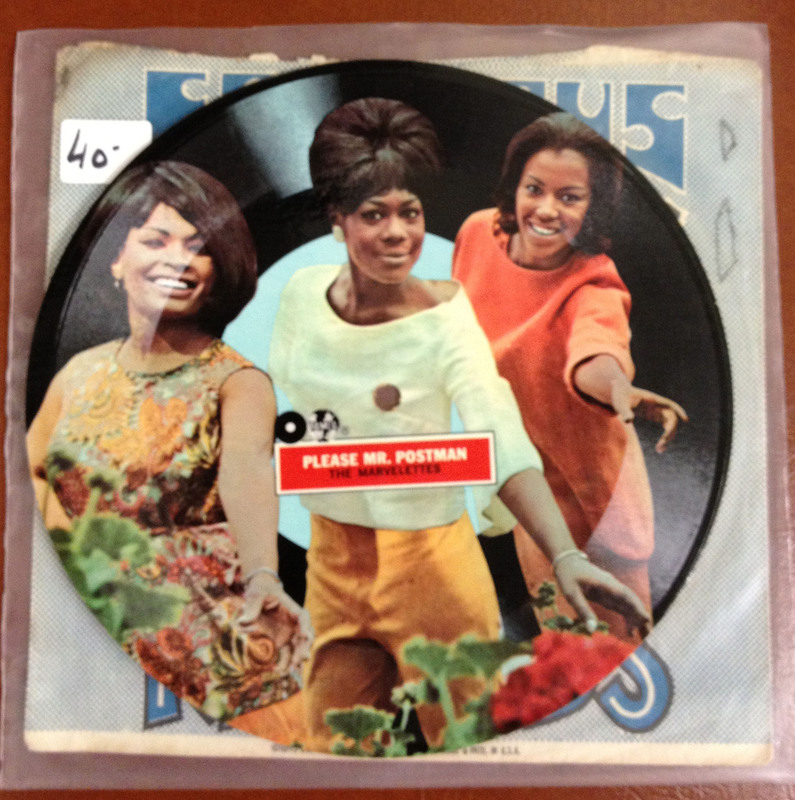 One of our vendors (roller coaster expert and announcer) Derek Shaw found these 45-sized 33s records (below) that had been used in jukeboxes and with their jackets, including Steppenwolf, Alice Cooper and The Rolling Stones – a rare find indeed! If you are a fan of the long-running CBS series, NCIS, you will love this find from Frank Ruehl. 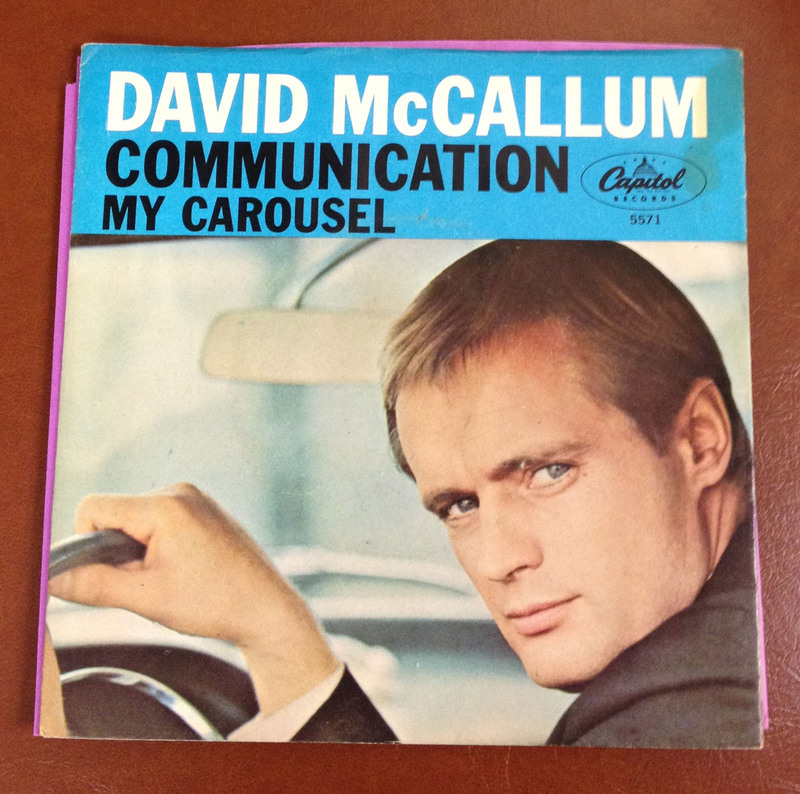 This little 45 gem (below) is from David McCallum‘s days as Illya Kuryakin on the popular series The Man from U.N.C.L.E. when it seemed every actor was expected to have a singing career! We still love him as Ducky! We look forward to seeing you at our June show for more special vintage finds like these – and more! 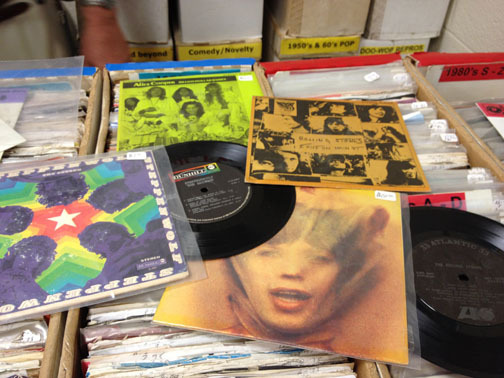 This entry was posted in music and tagged albums, Arbutus Record Show, big band, books, CDs, collectibles, country, DVDs, gifts, jazz, music, posters, R&B, record show, records, rock and roll, rockabilly, soul, soundtracks, T-shirts, vintage by arbutusrecordshow. Bookmark the permalink.